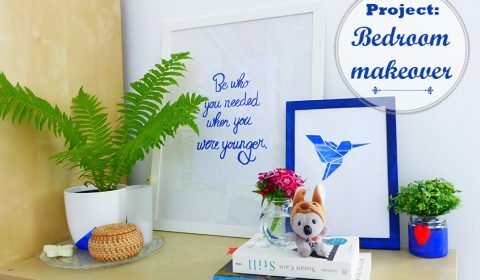 Yes, I have a new makeover project (yes, you are right… the whole flat is in a remodeling process 😀 ). 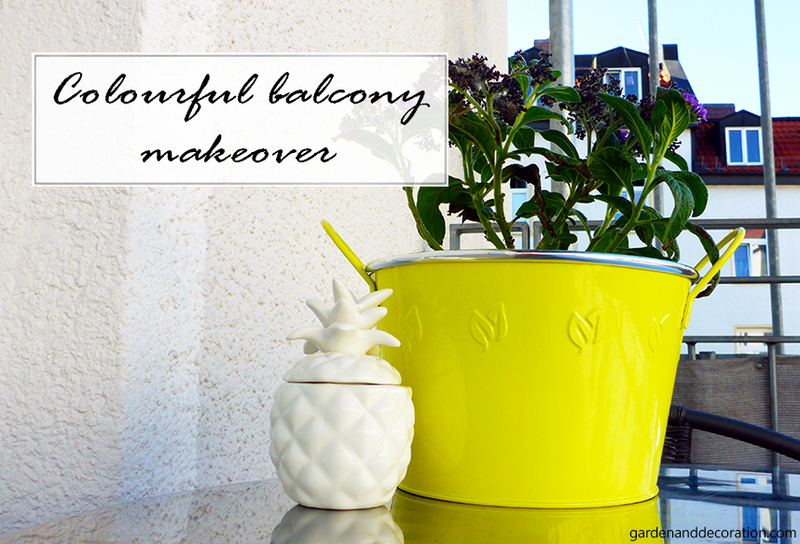 So, this time I have finally managed to clean up the balcony. 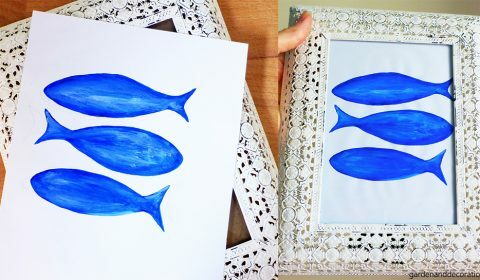 And also to take time to do a makeover on this part of the home. I want this balcony to be colourful and with a lot of greens. 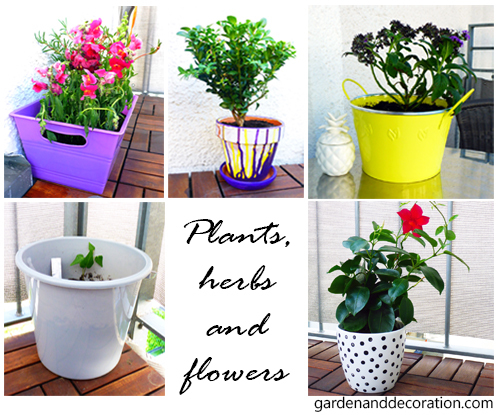 Therefore, I´ve bought some colourful pots and planted some plants and flowers in them. 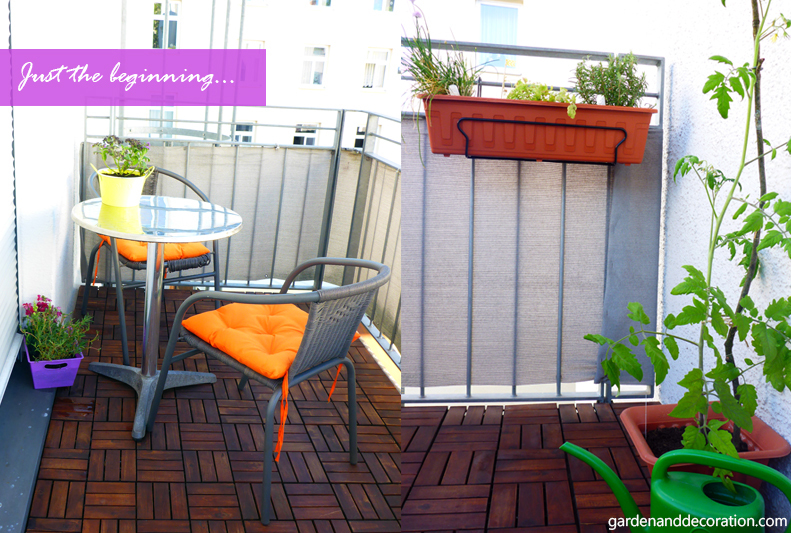 I also want to grow my own vegetables on this balcony – it is really an experiment. 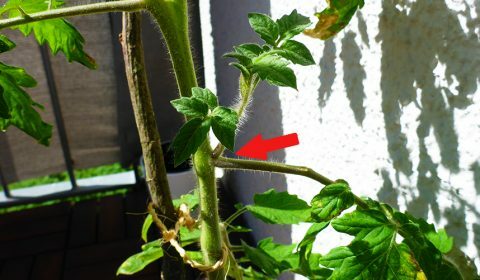 But see how big my tomato plant already is 🙂 . The cute little porcelain pineapple on the table is actually a candleholder (it´s hidden inside). I bought it for 1,90€ in a dime store. It fits perfectly in company with the yellow pot and also with the theme of this project (“a-bit-of sunshine-and-southern-island-touch” 😀 ). I made a cute accessory for the chairs and added a flower to the candle holder (where I store my tiny gadgets for gardening). 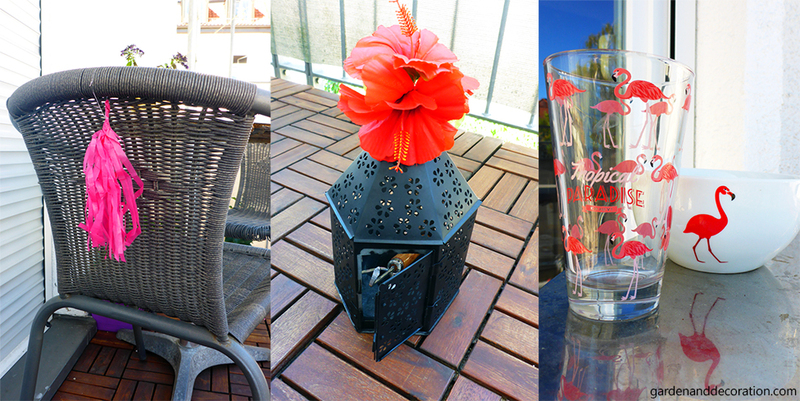 What´s also necessary: some dishes with tropical themes (I bought the glass and the bowl for just 2€ in a dime store). 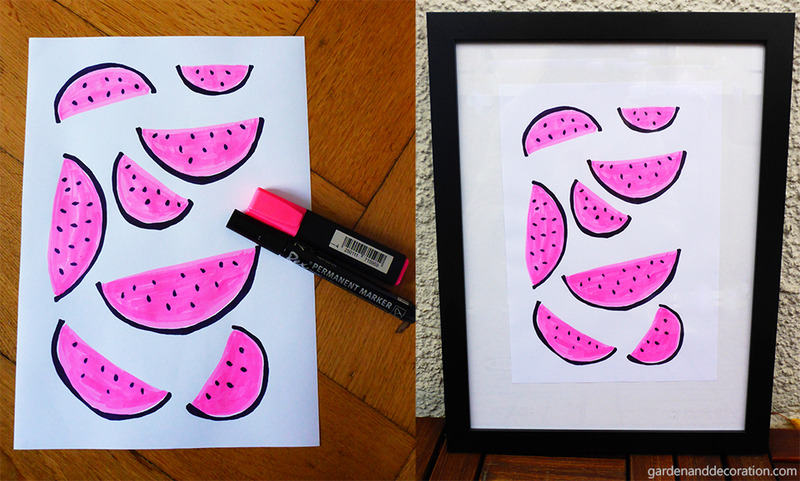 And, I also added a handpainted picture of some watermelons 😀 . For this art work I just used a black marker and a pink highlighter. 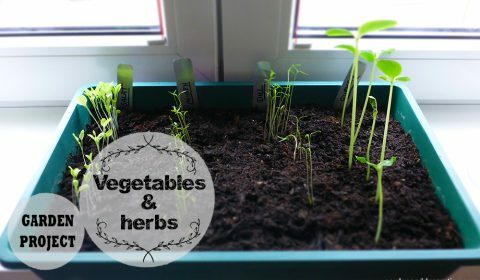 How to grow your own tomatoes? Next Post Did you know that?